From this news topic - IT"S BEEN SIGHTED HERE IN AUS!!! You can buy them at newsagents, though if you want issue 5 you'll have to wait till about October 16th (as 1 issue comes out a fortnight). IT"S BEEN SIGHTED HERE IN AUS!!! Seeing the Star Trek version at the Newsagents gave me hope. I am torn though as I only really want half of this. Anyone only want the IDW volumes? We could team up! I collected the Star Trek fact files twenty years ago - still in a box somewhere. 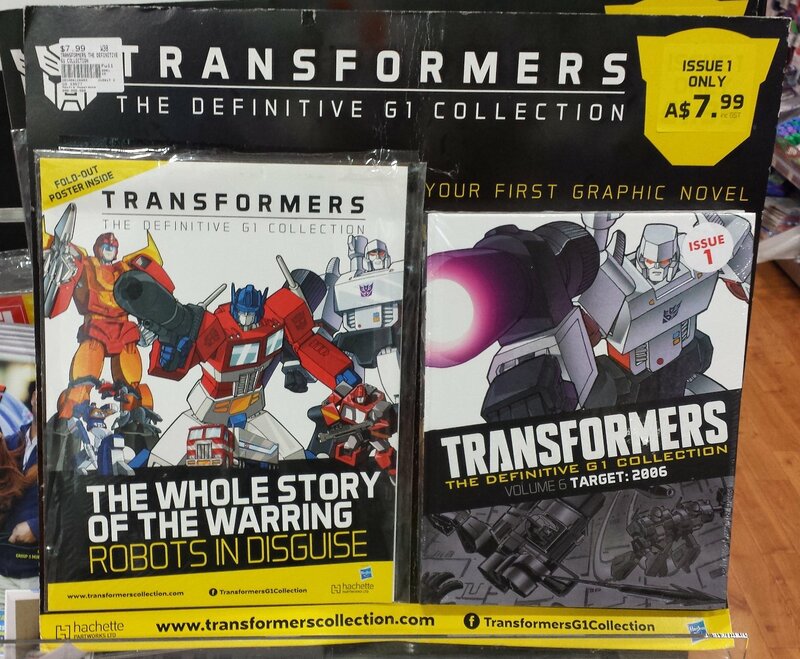 So these are covering IDW as well eh? Awesome! All of it or just selected issues? Are they covering the Dreamwave era as well? 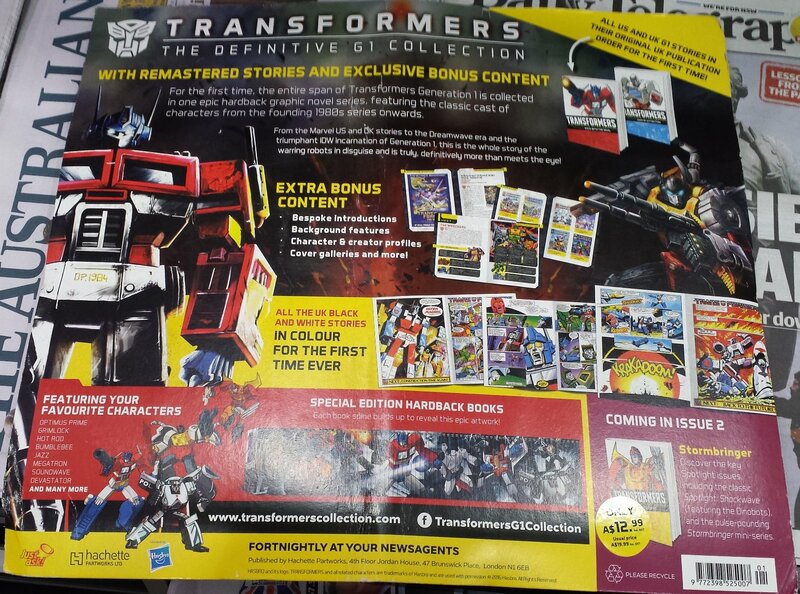 Volumes release in the UK so far have included Marvel US, Marvel UK, Dreamwave and IDW - supposed to be all G1 so not things like the Armada or Movieverse comics, but it does have ReGeneration One. Cheers for the info. Hmmm.... it says 'definitive' but not 'comprehensive' so I assume it wont include absolutely everything. Was just wondering if I should stop buying regaulr comics from this point on as they will eventually show up in this set but who knows eh. Looking at what has been released (list on wikipedia) I'd say there's a good chance that it will be all of DW and IDW. I never had anything to do with the comics back in the day so I'm in now to make up for lost time. I'm really only interested in the Marvel stuff but will give the more modern stuff a shot too.